← At Robinson, Inspiration is EVERYWHERE! This week we only ended up with 2 warm-ups because it’s all we had time to talk about! Enjoy! I’d love to hear how you’re using them in your classroom, or with your kiddos at home! Please ignore the fact that my green markers are never juicy and always make our charts look old. 🙂 Thanks to the fact that my Master’s program is now over, I have at least a little bit of free time, and for me that means baking! 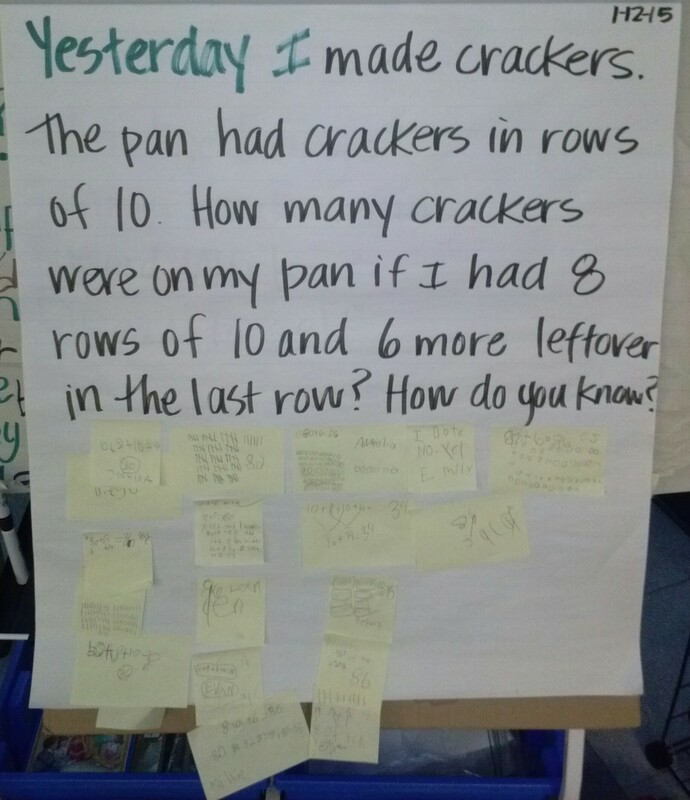 Here’s a grouping problem with 10s that’s about some cinnamon honey wheat crackers I made for my kiddos! 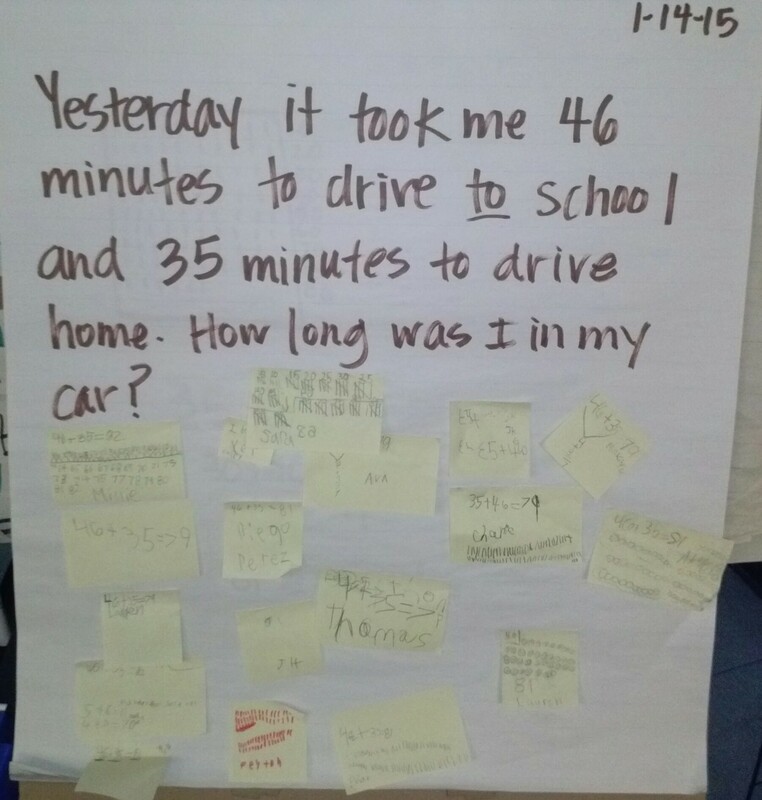 Posted on January 21, 2015 by Jen Bearden	• This entry was posted in Classroom, First Grade, Math and tagged adding, first grade, math, math warm ups, math workshop. Bookmark the permalink.